The most successful Tour Down Under for the host nation in over a decade resulted in an all-Aussie podium and four Australian stage wins. 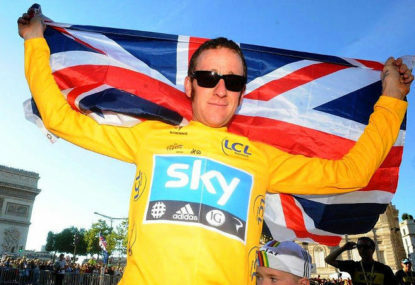 Inconceivable as it sounds, Orica-GreenEDGE, Australia’s only ProTour team, were not part of this fanfare. A thrilling battle for the ochre jersey saw South Australia tyro Rohan Dennis (BMC) pip Tasmania’s Richie Porte (Team Sky) by two seconds, with Dennis’ veteran teammate Cadel Evans completing the podium in his last major race before retiring. The man who came closest to denying Movistar’s Lobato his win in Stirling was Orica-GreenEDGE’s Daryl Impey – but the South African had to settle for second place after being overwhelmed by Lobato and his Spanish teammate Gorka Izagirre in a move of the kind so glaringly absent from the Orica-GreenEDGE camp. To be fair, the white, green and blue shirts of Australia’s national team were at least conspicuous on the front of the peloton for large chunks of the six-day race. But there was no end product – and ultimately, the top tier team were out-performed by minnows UniSA, the invitational team cobbled together with Australian riders plying their trade outside the WorldTour (Bobridge and von Hoff are contracted to Team Budget Forklifts and NFTO respectively – neither of which received a wildcard entry for the first WorldTour race of the season). Finishing seventh on general classification some 35 seconds down on Dennis, Impey was the stand-out rider of an Orica-GreenEDGE team that, well, seemed to be sitting down throughout the race. With triple Tour Down Under winner and defending champion Simon Gerrans sidelined because of a broken collarbone sustained before Christmas, Impey had been elevated to Orica-GreenEDGE’s main focal point, and he clearly rose to the occasion. 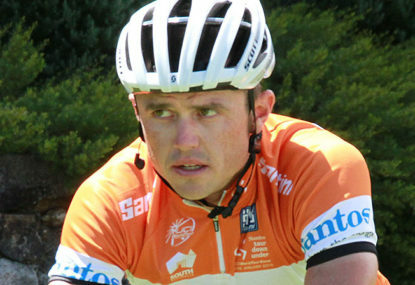 In Gerrans’ absence, the team could still draft in another former winner in Cameron Meyer (2011), although the responsibility for stage wins and a drive for the GC fell on the shoulders of 30-year-old Impey, who memorably became the first South African to don the leader’s yellow jersey in the 2013 Tour de France. Impey, incidentally, was only one of two non-Australians in a seven-man team that included a mixture of youth and experience in Meyer, Simon Clarke, Mathew Hayman, Luke Durbridge and Michael Hepburn, with Sam Bewley the other. 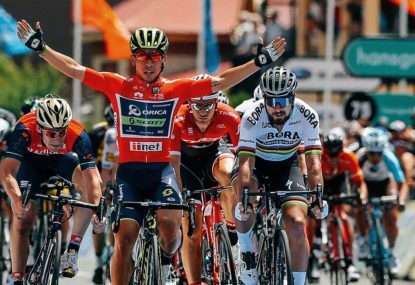 The race did seem to start well for Orica-GreenEDGE when Durbridge took third place from a breakaway in Campbelltown in the opening stage before Impey sprinted to second in Stirling. Impey was denied once again, this time by von Hoff at Mount Barker, in Stage 4 but managed to secure the red sprinter’s jersey as a reward for his consistency throughout the week. 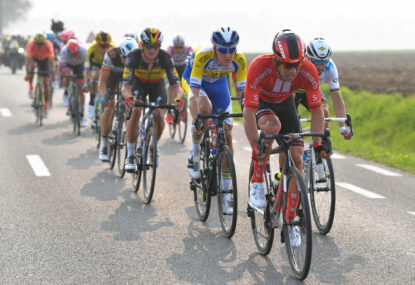 Tellingly, Impey’s lowest stage position (17th) equalled Meyer’s highest finish, which – besides Durbridge’s third place at Campbelltown – was the highest stage ranking for the remainder of the team throughout the race. It would be wholly churlish to judge a team by their first performance of the season were the team not Orica-GreenEDGE and the race not the Tour Down Under. After all, since the team’s birth in 2012 they have treated home fans to a string of wins and used the ever-growing home tour as a springboard for the rest of the season. But this year, in a race so utterly dominated by home-grown talent, it was nothing short of a travesty that Orica-GreenEDGE pretty much saw all traces of their involvement eradicated like footprints on Glenelg beach after high tide. A team that aspires to be the best in and of Australia saw nine other Australians finish above their own best-place Australian, Meyer, who languished almost seven minutes down on GC in 36th place. And yet, with Gerrans sidelined through injury, was this any surprise? Gerrans made up for his team’s lack of stage wins in their inaugural outing in 2012 with the overall win, the second of his career. A year later, Matt Goss was competitive in the sprints while Gerrans went one better and won on Old Willung Hill. Then last year, Gerrans’ overall victory was preceded by his opening-day stage win over Andre Greipel. See the pattern? It’s quite simple really: without Gerrans, Orica-GreenEDGE don’t appear to have the ability to be competitive in the Tour Down Under. This came within a collarbone of being irrelevant – for there’s nothing to suggest that this winning run would not have continued had the 34-year-old not injured himself in the lead-up to defending both his national road race crown and the ochre jersey. Last year’s Liege-Bastogne-Liege winner was, after all, in “the best form of his career” according to sports director Matt White. 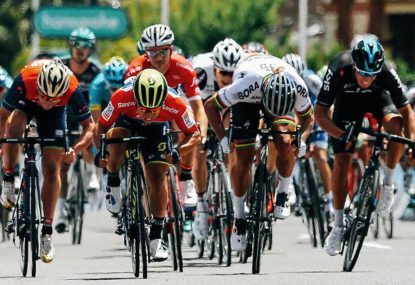 The upshot of all this is that Australia’s superb summer of cycling has funnily enough underlined Orica-GreenEDGE’s dependence upon a rider who, though still winning, is not getting any younger. While a lack of victories in Adelaide will probably have no bearing whatsoever on the remainder of the season for Shayne Bannan’s men, there’s no denying that it was disappointing – embarrassing, even, given the context. 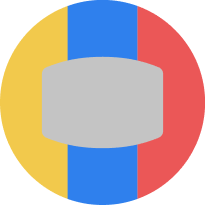 With the likes of Michael Matthews, Caleb Ewan, British brothers Adam and Simon Yates, Switzerland’s Michael Albasini on their roster, plus a fit-again Gerrans, wins will surely come sooner rather than later. Matthews sprinted to victories in both the Giro d’Italia and Vuelta a Espana last year, and his best-placed finish in the Tour Down Under was a lowly 52nd. But the need for a win – and one on home soil after an otherwise barren summer – has increased the pressure on Orica-GreenEDGE ahead of February’s Herald Sun Tour, where Clarke will look to defend his title in the five-day event. Returning to Europe – via Qatar and Oman – empty-handed would be unacceptable.